Medicine and Technology: What Happens if We Eradicate Malaria? What Happens if We Eradicate Malaria? So what happens if we eradicate malaria? What will medical students learn about the banana-shaped falciparum? CNN has an interesting perspective about this issue. 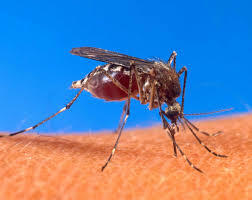 As World Malaria Day approaches, I often wonder what could happen if we develop a successful vaccine against malaria by bioengineering mosquitoes. Would the world population get out of control at that point? Public health professionals will have a major ethical dilemma on their hands. Thanks to Michigan.gov for the photo.